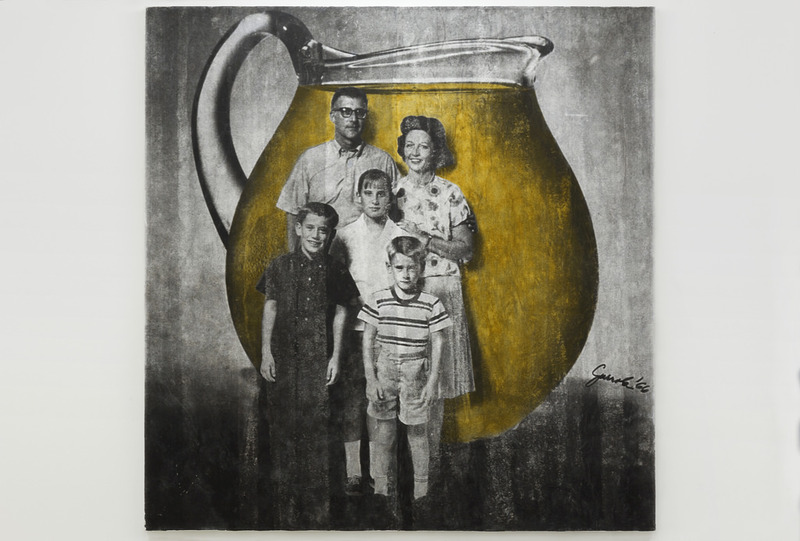 A new, three-course portfolio that will contribute to a 2019 Nasher Museum of Art exhibition. 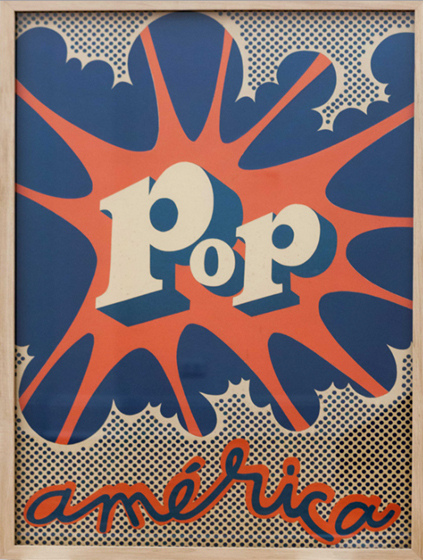 Pop América is a new, three-course portfolio offered in Spring Semester 2018 that contributes to the exhibition, Pop América, 1965-1975, planned for the Nasher Museum of Art at Duke (Spring 2019). 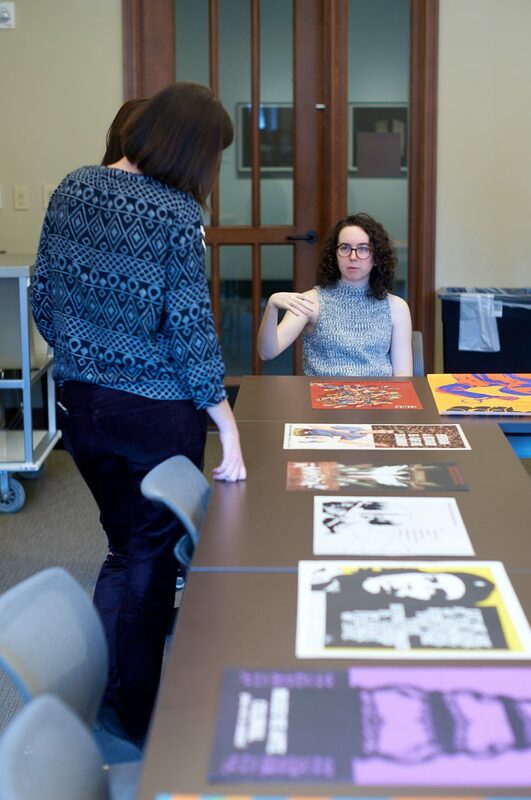 All courses feature independent and collaborative research in the arts, and students may enroll in one, two, or all three. 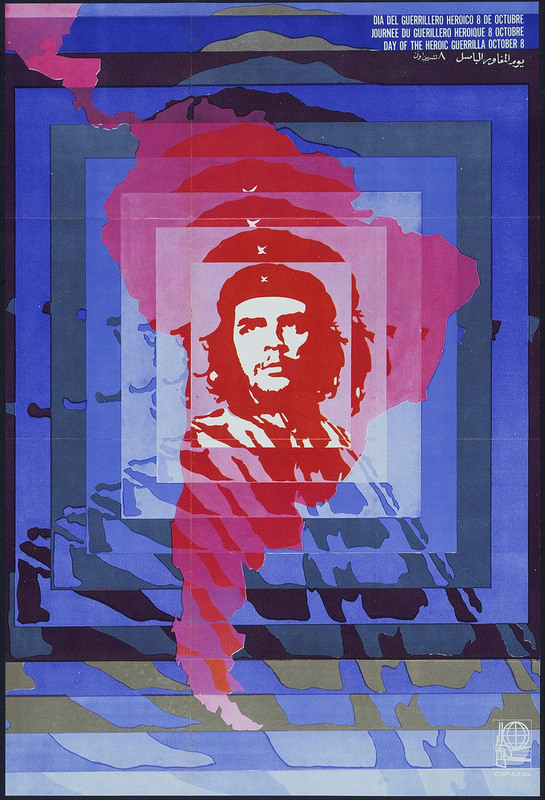 The Pop América, 1965-1975 exhibition was one of two winners of the inaugural Sotheby’s Prize, which supports exhibitions that explore under-represented areas of art history. 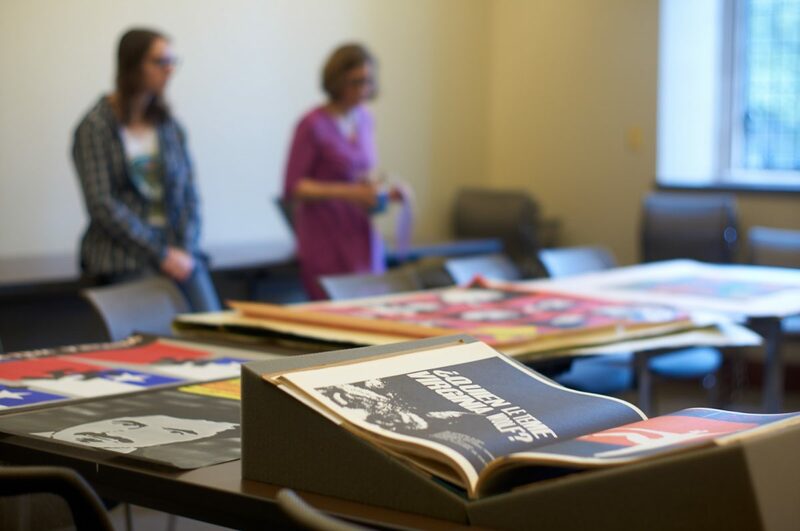 This seminar introduces students to Pop art, politics, and critical literature from the 1960s and 1970s from across the American continent. 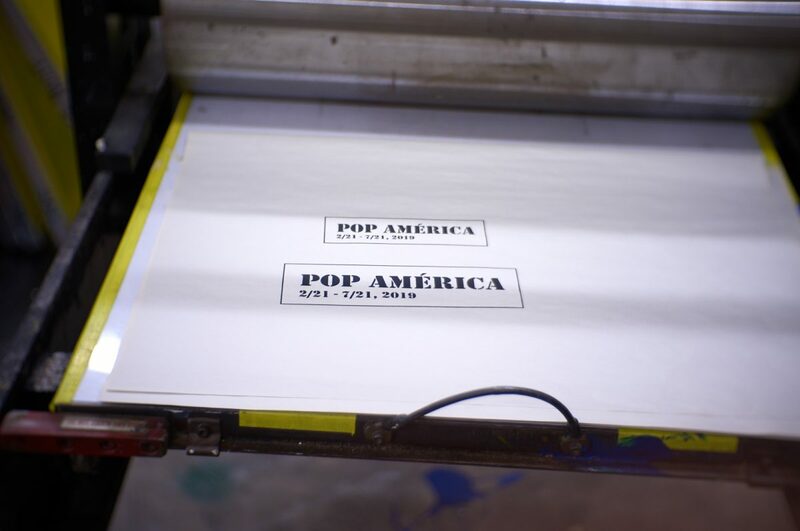 We focus on Pop’s relationship with youth culture, grass roots movements, experimental schools and universities, advertising, and mass media. 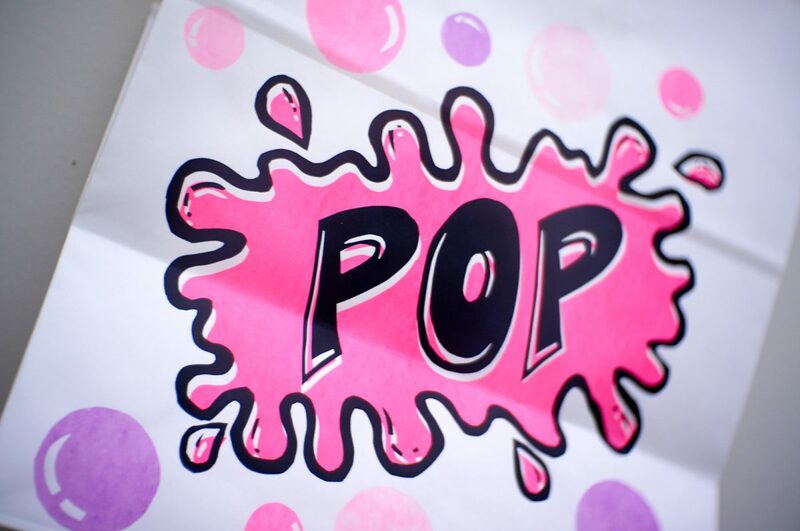 Taught in English. 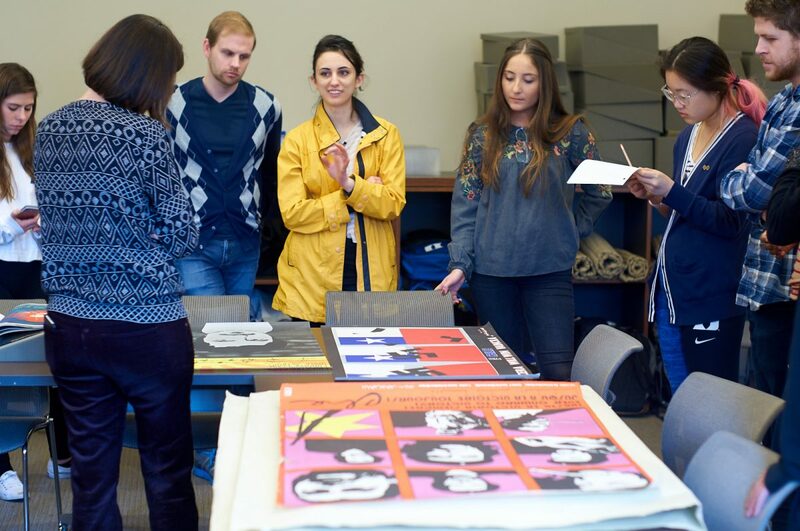 This course analyzes the histories and collections of different museums throughout the region. 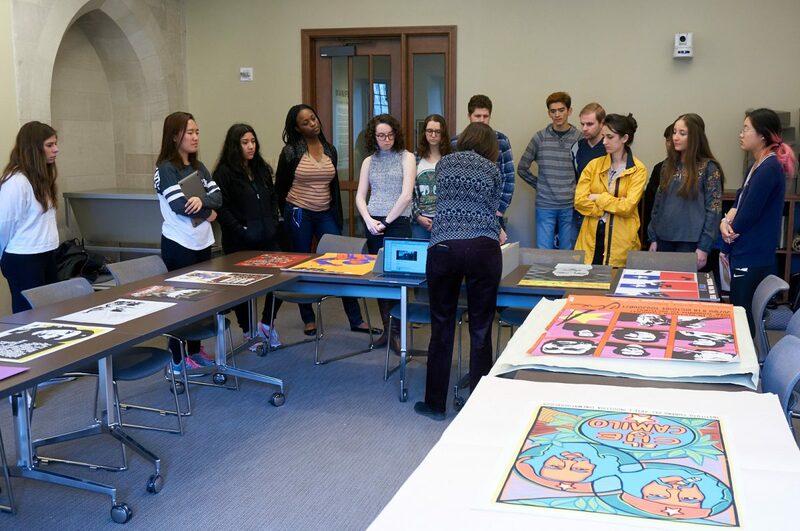 In so doing, students examine the concept of “Latin America,” and how these spaces of exhibitions and artistic production constructed different strategies for defining what Latin America is. 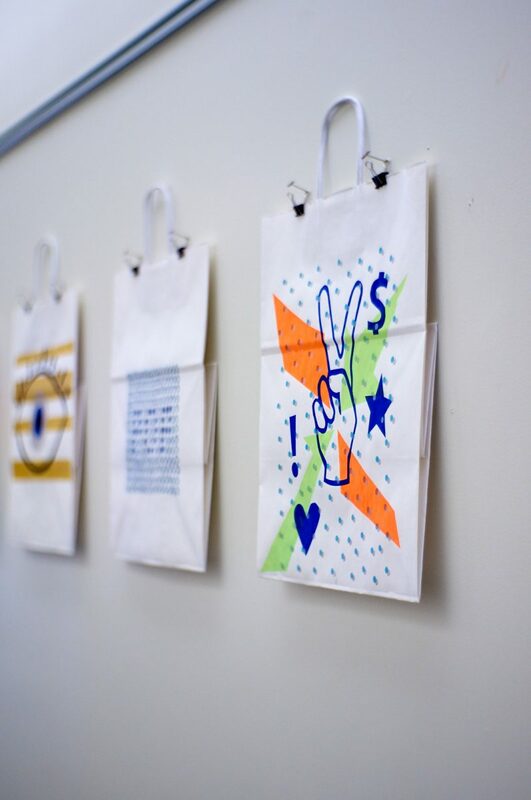 Taught in Spanish. 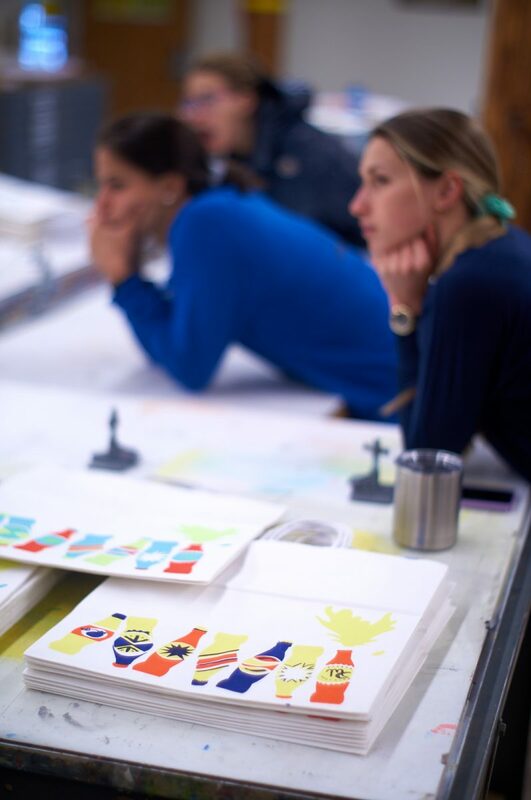 Screen printing techniques and processes, hand drawn and photographic, are introduced through studio assignments and group projects. 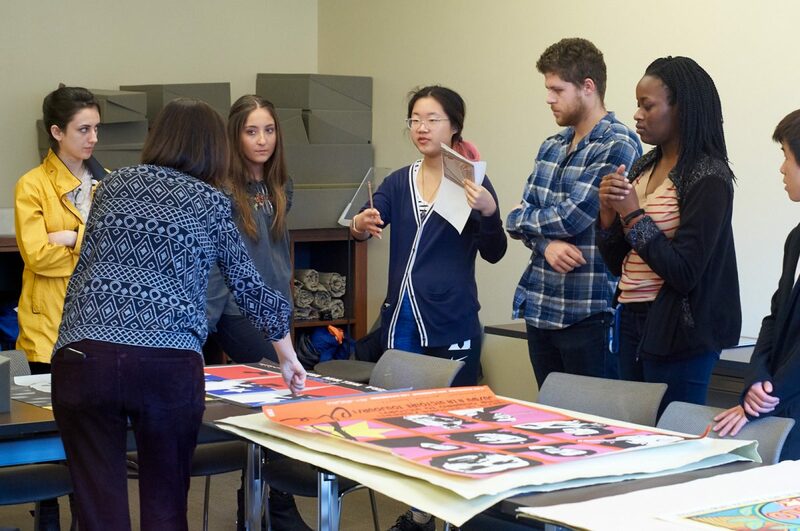 Students develop a significant body of prints as part of a portfolio of editioned work. 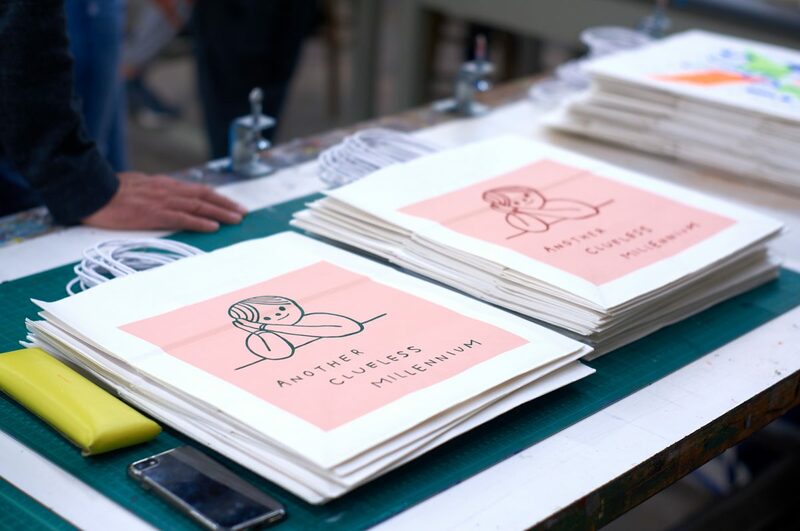 Taught in English. 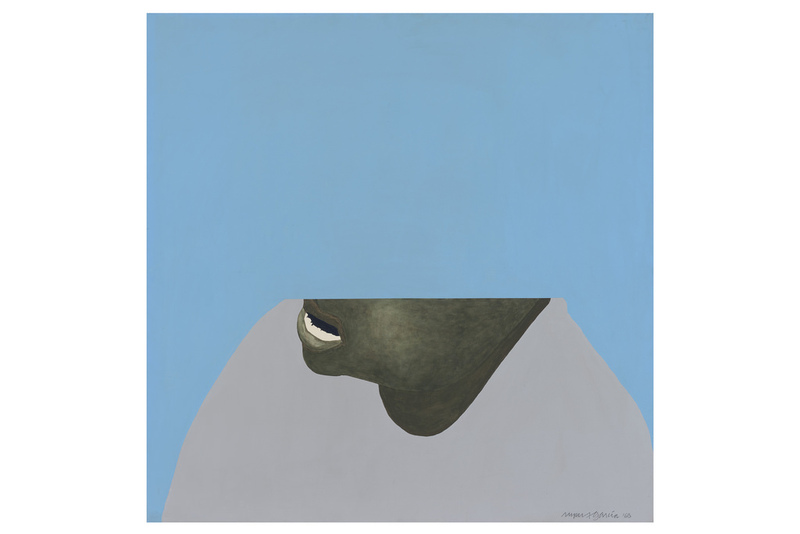 Despite the wide appeal of Pop art’s engaging imagery, the broader public remains unaware of the participation and significant contribution of Latin American and Latino/a artists working at the same time and alongside their U.S. and European counterparts. 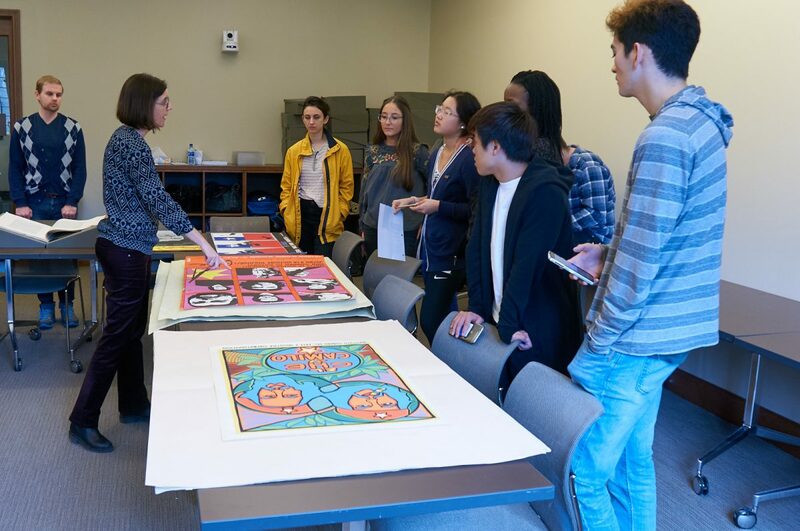 On a Monday morning in late February, students in Esther Gabara’s Spring 2018 Pop Art in the Americas class met in the Doug and Elise Beckstett Classroom of Rubenstein Library to view a selection of posters from the Bobbye Ortiz Papers. 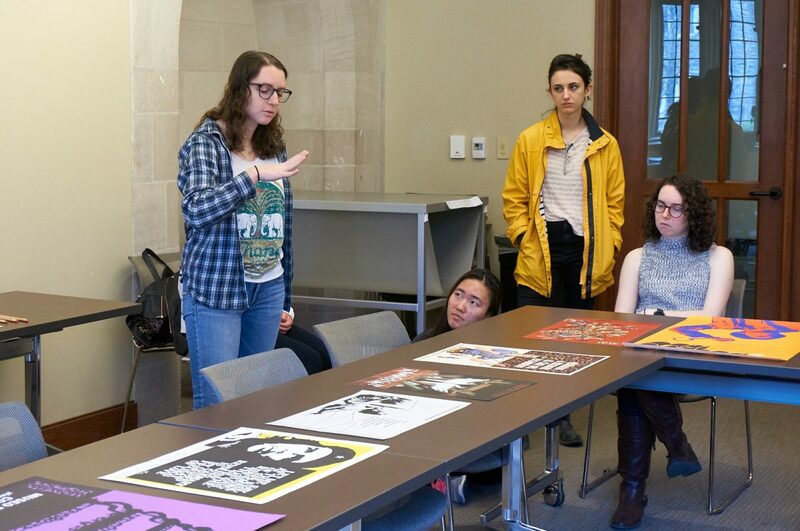 Ortiz (1919-1993) was a prominent feminist and Marxist activist who edited the magazine Monthly Review and founded WIRE (Women’s International Resource Exchange). 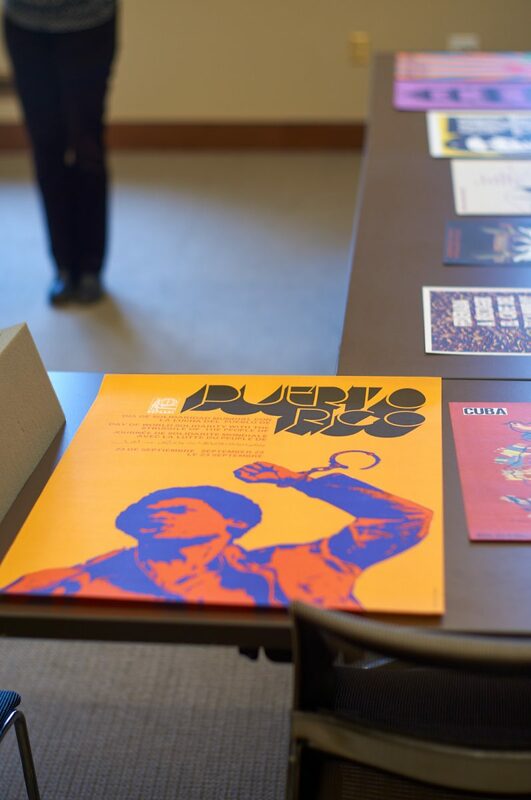 The collection housed at Duke includes many posters from Cuba and elsewhere in Latin America. 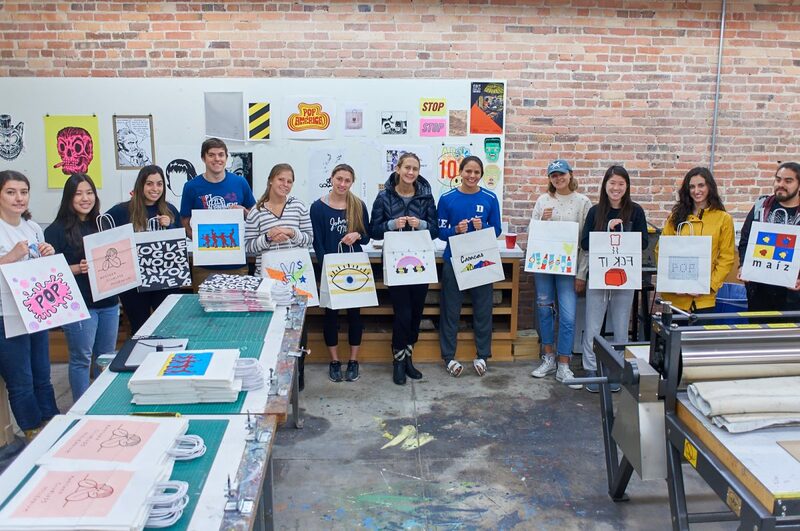 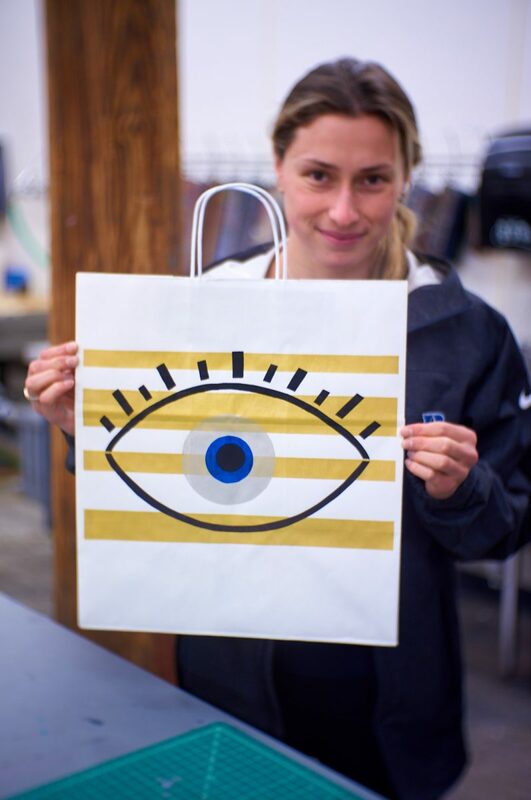 For their final project, Bill Fick’s printmaking class created Pop Art shopping bags. 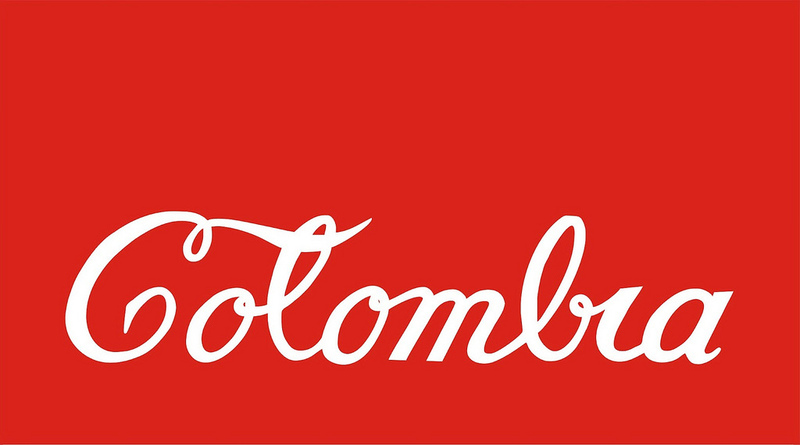 Header image: taken from Antonio Caro, Colombia, 1976.